The wedding bells have rung and the now husband and wife have said their vows. Moments after the wedding the reality sinks in-living under one roof. 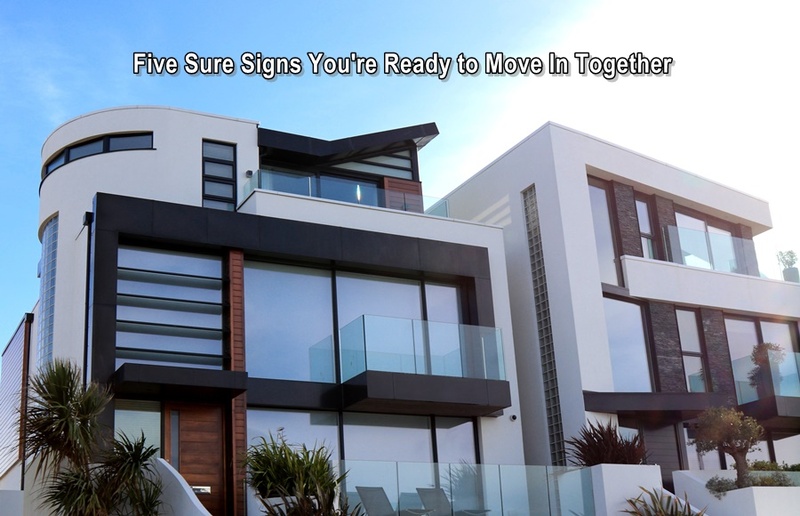 Married or not, moving in with your partner is one of the biggest decisions you’ll ever make. How do you know it’s the right time? 1. You’re over the honeymoon phase. Almost all relationships start the same: Everything’s perfect, you don’t fight, and you’re head over heels for each other. This is called the honeymoon phase, a time where everything feels fresh and exciting. Couples who still have a great relationship even when the so-called magic fades have a better chance of doing great living together than those who don’t. 2. You already spend every second, minute, hour, days, weeks, months and most of time together. When you’re spending so much time with your significant other, moving in seems like the next natural step. At this point, it just makes sense to live under one roof. Not to mention, both of you can save precious time and energy. For one, there’s no more going back and forth to each other’s houses. 3. You can be oh so true around each other. But stay together long enough, and they sure will. Move in together, and you’ll experience each other’s idiosyncrasies every day. If you still love each other to bits, then you’ll do just fine. It’s about knowing what annoys you about them, but still accepting and loving them anyway. 4. You’ve learned the art of how to kiss and make up well. All couples fight, no matter how hard we try to keep the peace. It’s impossible to always agree on everything. If you’ve been with your special someone long enough, you’ve probably had more arguments than you can remember. And since there will be a lot of changes once you start living together, it’s possible you’ll have more arguments than usual. But if you’ve figured out how to easily settle misunderstandings, then you won’t have to worry about having disagreements. You’ll get over them, stay together, and keep a happy home. 5. You’ve seriously talked about it and now have decided to do it. Once you move in together, you’ll need to split the bills. There are electricity, gas, and groceries, just to name a few. There are also certain rules you need to establish so everything stays peaceful. For example, how often can you have friends over? Discussing these lets you set your expectations for each other, allowing yourselves to avoid getting in over your heads when you move in together and put your relationship at risk. Don't miss this chance especially now that Valentine's Day is just a few days ahead. Join the contest now and tell the world how the love of your life means to you. It's one of the sweetest ways to say how much you love them, literally! Happy Heart's Day to all of you!! !